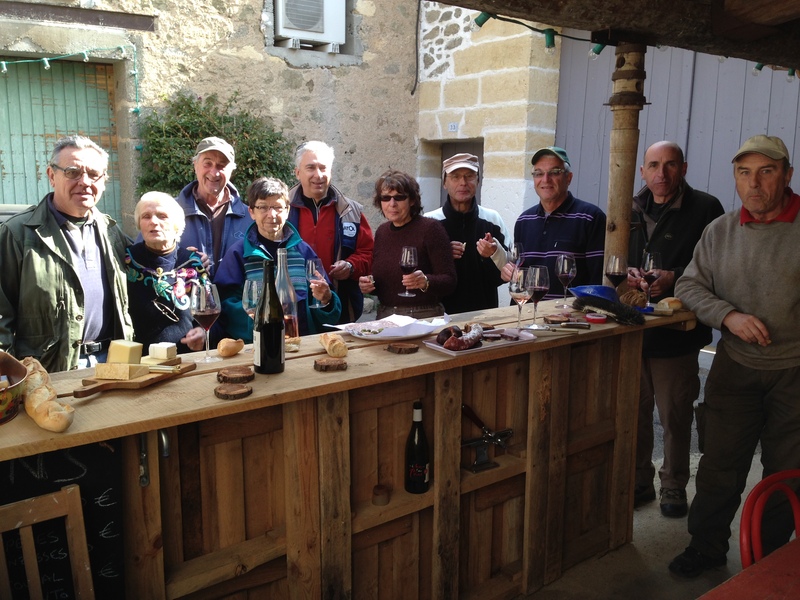 “Sexual Confusion” at Domaine des Amiel! First of all, before you ask yourself, NO, it’s not a dirty word! The usual way to fight against this pest is with insecticides, even in organic farming! In organic though, the products used are less violent, but they are also less efficient… Fortunately, we can use science to fight a lot more naturally : it’s what we call sexual confusion. 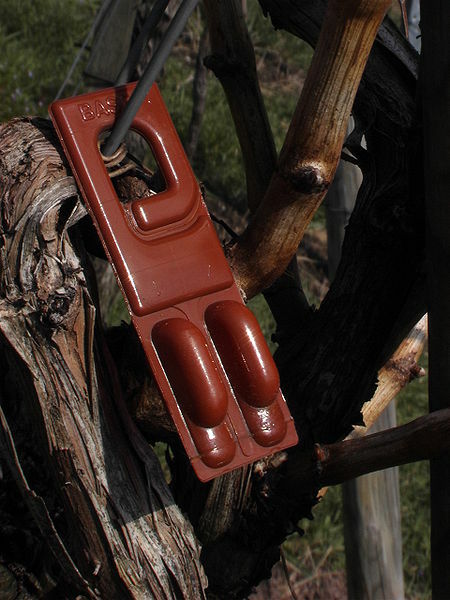 The concept is pretty simple : we install in the vineyards little diffusers which, during a few months, are going to release sexual pheromones. The air being saturated by them, males find it a lot more difficult to meet females to fertilize. No fertilization, no new generation of larvae… And it’s pretty efficient! First downside: in order for it to work well, this has to be done in a large scale. Indeed, a female fertilized in one grower’s plot could go lie her eggs in the neighbor’s plot! 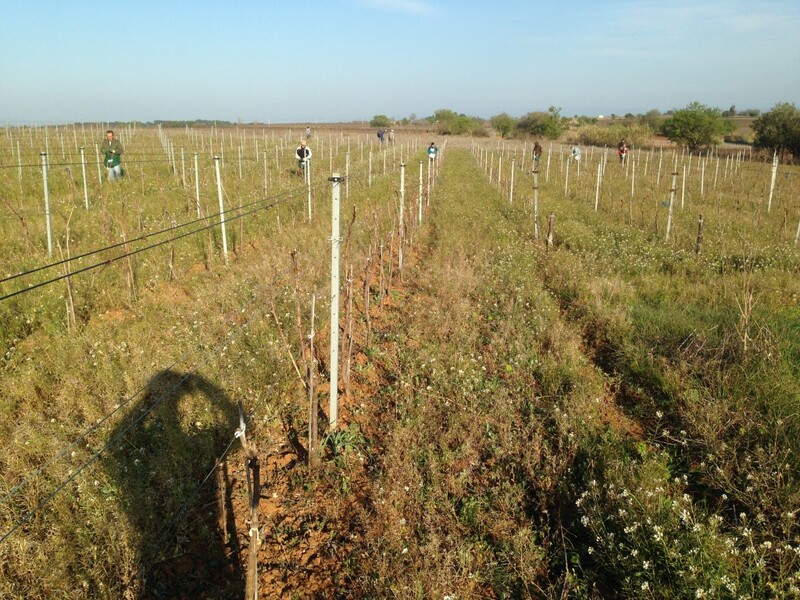 The idea created a lot of interest and many other winegrowers decide to get involved in the project. Second downside: installing those diffusers (more than 200 per acre) demands a lot of time and workforce… We decided to call all nature lovers (hikers, fishermen, hunters, etc.) who answered positively and came massively to help out! Last downside: it is also a lot more expensive than insecticides… Fortunately, for the moment, there are some subsidies which partially compensate the difference. Let’s hope that they will continue, and maybe even get increased in order to encourage more farmers!